Qatar Airway’s Al Safwa First Class Lounge in Doha is perhaps the most incredible First class lounge I’ve been to. There I said it. I know it’s quite a statement since I’ve been to both Cathay First Class Lounges in Hong Kong, including the recently opened Pier, the Qantas First Class lounge in Sydney, the Japan Airlines First Class lounge in Narita, and many more. 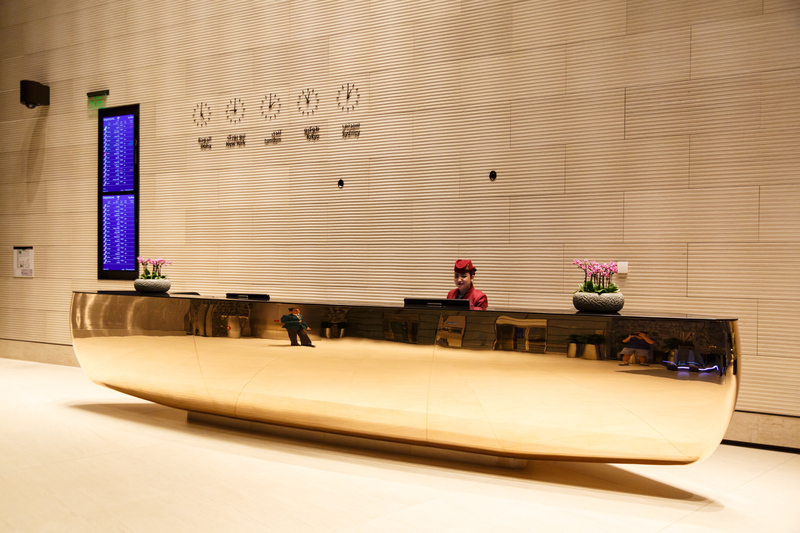 After a long awaited opening in October 2015, it is clear that the designers looked at every aspect of a lounge and made it as extravagant as possible. Dining is five star – you can have breakfast with a glass of Krug. Feeling tired? You can book a day suite, which is essentially a hotel room. Want private duty-free shopping? The lounge has its own store. Feeling in the mood for a gigantic floor-to-ceiling water fountain? Well, I did say extravagant didn’t I? Qatar Airways offers a free Doha City tour and I was really excited to take advantage of it during my long layover at Doha Hamad International Airport. It gave me the opportunity to check off another country on my list without having to pay for the expensive Qatar Visa. 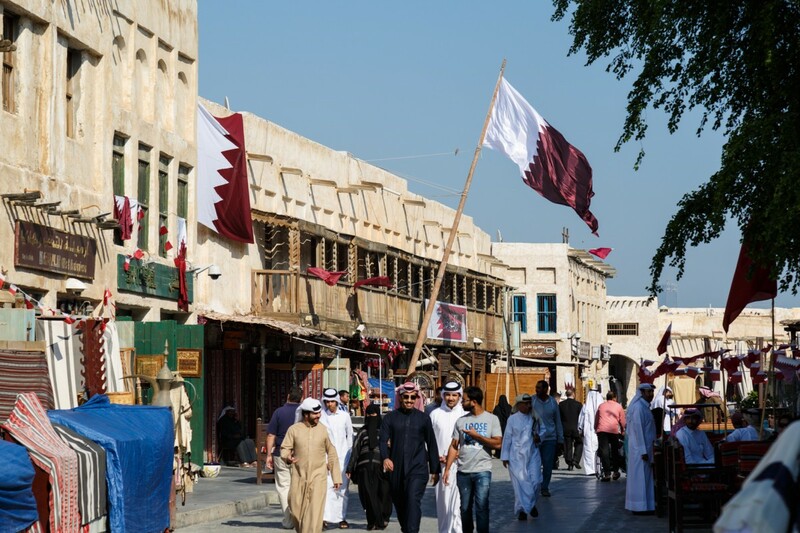 The tour is about 4 hours long and covers the essential parts of Doha. The itinerary includes the Museum of Islamic Art, Katara Cultural Village, the Pearl-Qatar, and finally the Souq Waqif.